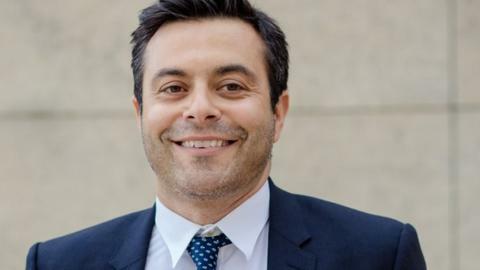 Italian businessman Andrea Radrizzani has completed his takeover of Leeds United, ending Massimo Cellino's three-year spell as the club's owner. Radrizzani had purchased a 50% stake in the Championship club in January with a view to buying the remaining 50%. Radrizzani, who has also taken on Cellino's chairman role, said he was undertaking "a long-term commitment". Meanwhile, BBC Sport understands that boss Garry Monk is set to extend his contract with the club. Leeds plan to activate the year extension in his contract later this week while also discussing a longer term deal. Monk led the team to seventh place, five points outside the play-off places, in his debut season with the club. April 2014: After initially being prevented from buying the club, he successfully appeals and becomes the majority owner. August 2014: McDermott's surprise replacement, David Hockaday, is sacked after just six matches. October 2015: On the same day he sacks Rosler and replaces him with Steve Evans, the Italian is banned from running the club by the Football League for a second time. November 2015: Vows to no longer attend matches. Changes mind about selling majority stake in the club to supporters' group Leeds Fans United. May 2016: Acquitted of tax evasion in Italy. Reveals he regrets buying the club, saying: "If I could turn back time and you ask whether I would come to this club, I would say never." Makes his sixth head coach appointment since taking over, replacing Evans with Garry Monk. December 2016: Banned from football for 18 months and fined £250,000 for breaching the Football Association's football agent rules over the sale of Ross McCormack to Fulham in 2014. January 2017: Sells 50% stake to fellow Italian Radrizzani. February 2017: Has ban reduced to 12 months and fine cut to £100,000. Start of ban is delayed until his appeal against the ruling is heard. May 2017: Sells remaining 50% stake to Radrizzani and ends his three-year spell with the club.